Creativity is a huge part of what we do here at Red Door. It’s an essential element especially for our game designers, just as it will be for those of you trying to win that $1,000 grand prize from our Design Your Own Escape Room campaign!  When you start thinking about how to design your own escape room, you have to factor in the story, environment, and puzzles—all of which require a great level of creativity. The first step here is figuring out what stimulates your creativity. Observe your work habits and understand what inspires you. Do you work best after you’ve hiked? When you’re listening to your favorite songs? After you’ve read a new book? When you find out what helps move those creative gears in your mind, make sure you engage with that activity daily! Keep your workspace fresh and inspirational. This doesn’t mean you have to move your furniture around on a daily basis, but you can make small changes. An easy way to do this is to get out of your designated workspace. If you typically work in an office, take your work outside for a change of scenery. But if you can’t get out of the office, keep a vision board near your desk. A vision board is basically a collage of images and writing that keeps you inspired and working towards your goal. You can use a corkboard and constantly switch things out as your ideas transform. If you don’t have space for this, Pinterest is a nice alternative! I think creatives often have a lot on their minds. Because of this, it’s sometimes easy to forget some really great ideas. That’s why keeping a daily journal is crucial for the creative mind. Whether in your Notes app or in a pocket-sized notebook, writing down your thoughts will make sure you find your way back to them after the chaos of the day. When you have a new idea, write it down and try to develop it in detail. When you have a dream, try to write it down as soon as you wake up. When you see something intriguing, describe it to the best of your ability. This practice will not only help you remember your ideas but spark some new ones as well! My creative writing professor always encouraged us to suspend judgment. I always loved this saying. If you’re a writer, you might’ve heard of the Iowa workshop model. If not, basically a group will read your writing and pick it apart, while you are forced into silence as they talk at you about their suggestions, critiques, and opinions. Some people love this method of workshopping, while others think it’s intrusive and sometimes harsh. I learned a different mode of workshopping in which I don’t get to be a judge or “art thief” (someone who tells someone else how to do their art). Instead, I learned to simply read and observe. My professor taught us to answer two questions after reading: what do we notice the text is doing and how is the text doing this? Apart from writing workshops, this method of thinking can also be beneficial to all creative thinkers. Instead of judging what you see, allow yourself to simply observe, describing to yourself what effect something has on you and how it has affected you in that way. This helps you to set aside the triviality of “like” and “dislike,” and understand how to be aware of impact and detail. Piggybacking on my last thought, you might like the Iowa workshop model. You might be thinking that the observational route is not as helpful. That’s fine! In fact, it’s good to challenge ideas instead of blindly accepting them. Curiosity is a friend of creativity. Ask why and how about everything! The answers, or even just the search for answers, can open up your mind to think differently: one of the most important aspects of creativity. This, for me, is the hardest good habit to follow. That same creative writing professor from before always said that writing is a two-step process: first you think on paper and then you shape. Think of it like sculpting: first you create the basic rough shape and then you get in with your tools to carve out the details. I could never let myself do this. I didn’t like “thinking on paper” because I feel that my thoughts, without any filtering or construction, are messy. I couldn’t stand to see an ugly sentence that I had created, so I would shape as I go. But working this way has always inhibited my writing and made me work a lot slower, if at all. I think this all stems from a fear of failure. But as creatives, we need to allow ourselves to fail and fail often. You can’t let the fear of failure hold you back from creating. Learn to celebrate your failures and let them motivate you to keep at it until you figure out what works. This is definitely something that I need to be diligent about and make a conscious effort for myself. I hope you can also learn to fail up too! Now that you know some good habits of creative people, remember that habits don’t form overnight. You need to put them into daily practice! 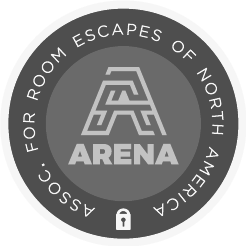 If you need a creative goal to work towards in order to try out these good habits, try our Design Your Own Escape Room contest and let us know how these tips helped you! Most importantly, remember that the only person that can hold back your creative mind is yourself. Don’t be afraid to be different. Don’t be afraid to think differently.